Thanks so much for stopping by the blog today. I really wanted to focus today’s blog post on how to help you STREAMLINE your Guided Reading Instruction. How do I easily differentiate for multiple reading levels? I can’t find the time to PLAN for multiple groups for every day of the week. I don’t have the right materials for all of my groups. I can’t fit in 4 groups in an hour AND give my students quality instruction. Honestly.. the list goes on and on. I have had the same struggles over the last twenty-three years that I have been teaching… BUT… I couldn’t take the struggle and stress anymore… so I knew I needed a solution to the problem. So…today I would love to share my solutions with you in….. However, before we get into the nitty gritty of guided reading, I wanted to share a Workbook with you. This workbook will allow you to write some notes from this blog post….and there are a BUNCH OF FREEBIES included in this download that I will talk about through this blog post. I will also explain how I utilize the freebies during my guided reading group time. CLICK HERE or the link below to download your Free Workbook and Freebies. Consistency in your Guided Reading instruction is absolutely the KEY to solving MOST of your struggles with teaching guided reading! If you constantly change up the routines of the group time, the activities that you do with each group, and constantly reinvent the wheel, you are going to be STRESSED OUT and OVERWHELMED….each and every week….NO.DOUBT.ABOUT.IT.! The reason I know this is because I was doing the same thing. Even though I was somewhat planned for the week, I still felt like I was throwing my guided reading group work together five minutes before my first group at the 11th hour…are you feelin’ me…I am sure you can relate! So..after THOUSANDS OF hours of reflecting on how I can better plan, implement, and execute my guided reading group time, I came up with a plan that has ACTUALLY WORKED.. it LITERALLY.. worked! Guided Reading needs to incorporate 3 main components…Word Work, Reading and Comprehension, and Guided Writing. These are the three components that I accomplish each week with EVERY SINGLE ONE of my reading groups. My class ranges in size from 20-24 students each year. So I usually have 4-5 reading groups per year. Now…when I have 5 groups… I have to be pretty creative with my time. But… with 4 groups, I allot 15-20 minutes per group EACH DAY of the week. That means I meet with every group, every day! Here is how I structure my Guided Reading time EVERY SINGLE WEEK… this structure does not change! The consistency and predictability of the activities and lessons, helps my students stay focused and accomplish MORE in less time. My kiddos don’t ask a thousand questions because they know what will be occurring that day during group because the structure is consistent. You may think this will be boring for the students, but it isn’t. Just because there is consistency and structure doesn’t equate to boring lessons and books…. On Monday, I focus on Word Work with each of my groups. We work on the spelling / phonics pattern that we are focusing on for the week. If we are working on long vowel words with the magic e, then our word work activity focuses on this skill. This particular lesson was focusing on the Long A sound using ai, ay, and a to make the sound. When they arrive to group on Mondays, there is my Making Words activity at their seat. They immediately start cutting out the letters as soon as they sit down to group. I don’t even have to give them any directions, because they know what I expect of them. We then go through the whole Making Words activity. We start with building one word. Then I prompt the students to continue building and blending words. This is how the lesson progresses…. “Say the word.” “cape” – running our finger under the word. “Now, change the “p” in tape to a “k.” Blend the word. ” T – A – K” “take”…. This guided practice making words activity incorporates so many different skills. on teacher directions, using their listening skills, and so many other skills. in a sentence. Then, they glue this page into their interactive notebook. Sometimes with my struggling learners, I will focus on specific sight words that they have not mastered yet and we will work on a few different sight words based on their individual needs. Within the Workbook you downloaded, I added a Making Words template that I used for years in my own classroom. 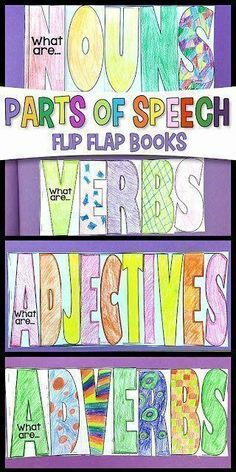 You can implement this template using the words and/or phonics sounds that you need to work on with your kiddos. If you haven’t downloaded your Workbook with Freebies yet, you might wanna check it out! Complete this form and it will be sent to your e-mail right away! Important side note about my Reading Groups: From September through end of January, we focus on reading skills and strategies from Tuesday through Friday each week. I take a lot of time at the beginning of the year to truly dig in DEEP to each of the guided reading books that we are reading. I will alternate between fiction and non-fiction texts as well. The following week, we will focus on Close Reading passages from Tuesday through Friday where we will close read a passage and focus on key details of the text, vocabulary development, text-dependent questions, and making connections to the text. HOWEVER, from February through June, I change up my schedule because the students have a strong foundation of guided reading skills and strategies and are much more proficient in their abilities to handle a more rigorous workload and they are able to work more independently on additional reading activities. Therefore, from February through June our schedule changes to Making Words on Monday, a Guided Reading book to focus on Fluency and Comprehension on Tuesday and Wednesday, and then on Thursday and Friday we work on Close Reading passages. I just wanted to explain how I change up my schedule and workload as the year progresses. Tuesday and Wednesday we focus on reading skills and strategies. We are always focusing on fluency and decoding so this is not something I write in my plans each week. This is just a given each day when we are reading. I will address different reading strategies while I listen the students read. We will usually use one of my guided reading mini-books that I have created or we will use a mini-book from the the reading series that my school adopted (ugh..I digress). We will read the story on Tuesday and we will discuss the text/story. I will ask guiding questions about the story or we will jump right into our comprehension lesson for the week. 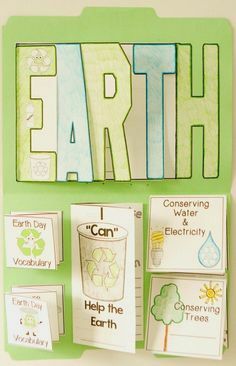 On Wednesday, we will do one more quick read of the text and jump into the comprehension activity where we do a Guided Writing activity based on the comprehension skill for the week (cause & effect, plot, sequencing, summarizing, character analysis, making connections, making predictions, etc.). Here is a mini-book that I read with my students from my Guided Reading Bundle called Bobo the Barracuda! We worked on a Cause and Effect lesson using this book. Here is a VIDEO on the Cause and Effect Lesson that I conducted using this mini-book. In your Workbook and Freebie download, I have included one of the activities that I do with my groups for Cause and Effect. Here are some examples of Guided Writing activities I have done with my students during our guided reading group time using different books, but working on the same comprehension skill. I like to organize all of our Guided Reading activities in file folders to send home when it is full. This is a wonderful way of showing my students’ parents all of the different types of skills and activities that we work on during our reading group time and to visually see the rigor of activities the students partake in. This is one of my file folders that we complete throughout the year. I also have a Guided Reading Detectives unit that focuses on the same type of activities, yet all have a detective theme. Whenever I am teaching a specific reading skill to my reading groups, I choose an activity that can align to any book that I am reading and add it to our file folders. Here are some sample images from our Detective guided reading unit. So…in a nutshell those are the types of Guided Writing activities that I do with my students during our guided reading group time. Thursday and Friday I always focus on Close Reading. We follow the typical 3-Read Close Reading strategy. On Thursday we do our first read and focus on Key Details of the text. On Friday, we conduct our 2nd reading of the text and we focus on vocabulary development and the Craft and Structure of the text. My on-level and advanced groups will conduct the third read independently during our Daily 5 rotations or during morning work time. They will focus on text-dependent questions after their third read. When they complete the work for the third read, they glue their work in their interactive notebook and hand it in to be corrected. With my group of struggling readers, we will focus on close reading the same text over two weeks. So we will do 4 close readings of the same text on Thursday and Friday for two weeks. This ensures that I have enough time with my struggling learners to really dig deeper into the text and help them learn the strategies to becoming strong close readers. So.. basically in a nutshell that is how I streamline my guided reading instruction… AND… it really works. My students demonstrate tremendous reading growth each and every year! YAY! This is where streamlining instruction really comes into play as well. 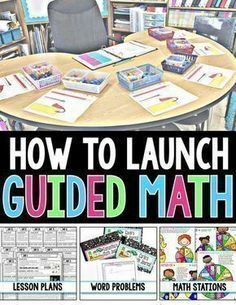 I DO NOT PLAN different lessons for each Guided Reading group that I see every day. Yes, I may focus on an area of need for a specific skill for a specific child if the need arises. But my comprehension lesson is the same for all of my groups. The KEY to this is to have an activity that is easily used for multiple ability levels of learners and using a text on their instructional reading level. If I am teaching Cause and Effect as my comprehension skill one particular week, ALL of my groups are focusing on Cause and Effect for the week. I will use different levels of readers or passages for each of my groups, but use the same Guided Writing activity for each of my groups. If I am working on Non-Fiction text features, every group will be working on this skill using a leveled reader that is aligned with their instructional reading level. Within my guided reading units that I have created, I always include texts on THREE different instructional reading levels. I LOVE that my students don’t even realize that they are reading a different leveled text, because they all look the same. My guided reading books have the exact same cover on each of the guided reading texts. The only differentiation is there is a colored dot on the front cover so that I know what level text I need for each of my groups. Here is a sampling of the types of activities that I include in my Guided Reading units. In order for your guided reading groups to run seamlessly and smoothly, you CANNOT be interrupted by students. This is a HARD and FAST rule in my classroom. The only time I can be interrupted is if it is an emergency, someone is bleeding, hurt, or if the student feels sick. THAT.IS.IT.! ALL other issues or questions are asked of the Teacher Helper for that week (which is a student in my class). After a month or so, they rarely ask the Teacher Helper any questions. They seek out the teacher helper mostly because they can’t read a word or they don’t understand a direction. But the interaction between a student and the Teacher Helper is few and far between after a month or so of implementing this. During my Guided Reading group time, the rest of my class is working in Daily 5 Stations. If you don’t know what Daily 5 is or you are not sure you want to implement it, I would suggest TO RUN..NOT WALK.. BUT RUN… to purchase the Daily 5 book by Joan Moser and Gail Boushay. Daily 5 completely changed my guided reading group time and my kiddos are actively engaged the ENTIRE TIME they are rotating. Daily 5 includes 5 rotations. However, I only do 4 rotations since I have 4 groups and I change out the rotations every month or so so the students get to the last station. When I implement Daily 5, I spend about 3-4 weeks on expectations and implementation. We are VERY specific and strategic about implementing this structure into our routine because my students MUST be independent, actively engaged, and accountable for their daily work when they are working in stations. We create our Behavior Expectations iChart together as a group. We have student expectations and teacher expectations and what we are all expected to do during our rotations. We also conduct a demonstration of proper behavior and improper behavior. Each time we practice our rotations in the beginning, we always meet to review our iChart to see if we followed all of the expectations during the rotations. We do a thumbs up if we followed the expectation and a thumb sideways if we need to still work on the behavior expectation. These are some of the ideas that I implement to structure my guided reading time! Get out your calendar…or open your phone calendar and jot this down… On July 27th, my Teacher Video Series The Stress-Free Teacher’s Toolkit will be LIVE! This is a 4-part video series where I will be sharing TONS of actionable and easy tips and tactics to implement in your classroom! YEP! This 4-part video series will be EPIC…and it will start on July 27th! If you haven’t joined my newsletter, now’s your chance and I will let you know when my video series goes LIVE! Just sign up on the side of my blog and you will be notified when it goes live! 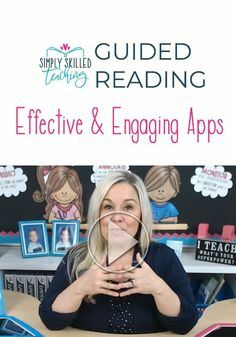 Anywhoooo… I TRULY HOPE that you have found some helpful little nuggets within this post to help you Streamline Your Guided Reading Instruction! Along with the guided reading in you reading program are u also using an anthology or basal reader? I was excited to find this Streamline to Guided Reading Instruction, but disappointed that I can’t find the Making Words unit to purchase in your store at TPT. Can you help me find it since it wasn’t in the “freebie” file either? Thanks. Also, could you specifically state the names of the other units to buy to go along with this GRI? So excited to use these materials. Is meeting with you one of the daily five rotations or do you pull students during their other stations? I love love LOVE this post!! I came from a Title 1 background for 4 years to teaching 2nd grade. I’m in my 2nd year and I have struggled implementing guided reading in my day. I already do Daily 5, so implementing this guided reading approach will be simple after Christmas break. Thank you so much!! I will be following now for more tips! Do all your groups read the same close reading article? So like are your struggling readers reading the same article as your high kids? 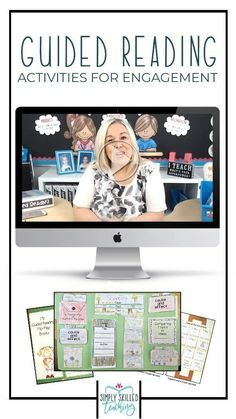 I love your resources and videos…I am planning on implementing this into my classroom but have a few questions. How do you get your kiddos to not rush and do their best work? I am at a title 1 school and I am finding the effort level decreasing each year-trying to get the kiddos to care and be proud of their work is getting more difficult. Do you grade all of their written daily five center work or give feed back to them? If they don’t put effort into their independent work what do you do? Thanks in advance on the advice. I love this too! I am just curious, do you use chapter books at all with your more advanced group? I find that my students love them and work hard to do comprehension work with them. If you do use them, how would you put that into your “plan” here? Thank you again for sharing this! I teach 1st grade. Have you worked on any workbooks/interactive notebooks for that grade?